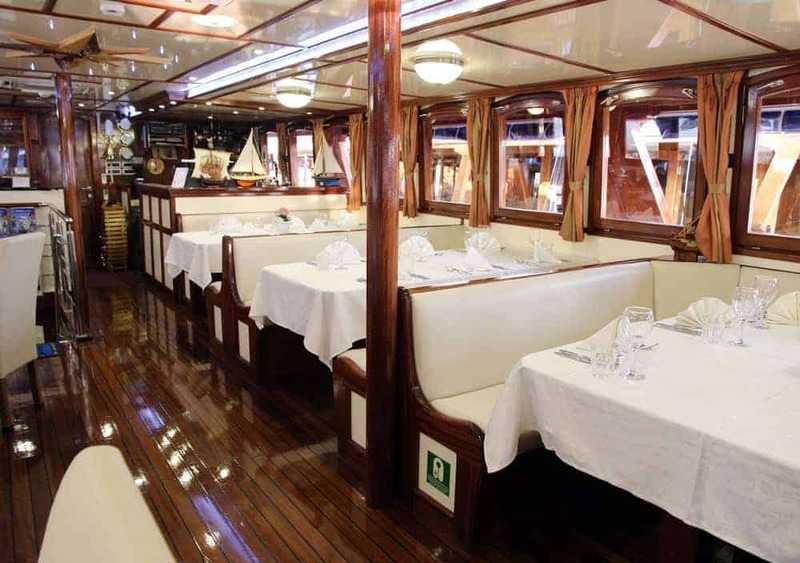 The Princeza Diana is a 3-mast deluxe class motor yacht that was launched in June 2011. With 40 m in length and 8,50m in width the ship is one of the largest and most luxurious boats of our cycling cruise fleet. It especially adapts to the needs of E-bike cruises. An extra cargo hold is equipped with enough power sockets for the battery stations. 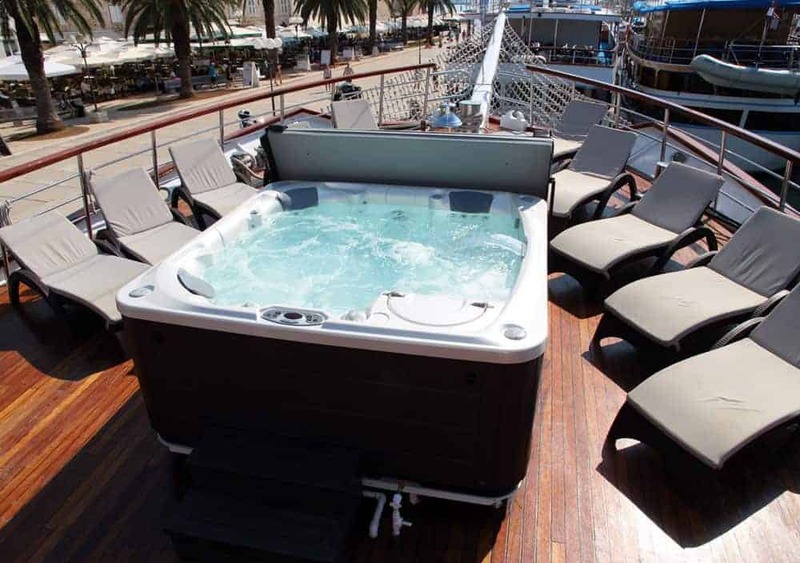 Due to its variable cabin divisions with 2, 3 or 4 beds the Princeza Diana is also very family friendly. This ship travels in the Kvarner Bay and Dalmatia. Despite the functionality the Princeza Diana is a luxurious and convenient steal ship with 16 guest cabins (9 above and 7 below deck) of 10-14m² sizes – of course equipped with a shower and toilet in each cabin. A big saloon as well as a canopied quarterdeck with upholstered seating is situated on the top deck. It offers enough space for cozy meals (inside or outside). 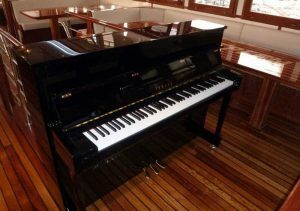 The cabins, the saloon and the outside area are furnished elegantly. 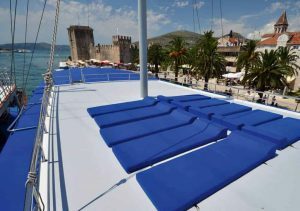 On the wide sundeck, chairs and mats for relaxation are provided. The platform at the stern offers a comfortable way to get into the sea.